Drew is the only agency consultant who still owns an agency and is literally walking in your shoes every day. That means he’s current, relevant and knows the challenges you face first hand. over 250 agencies every year. 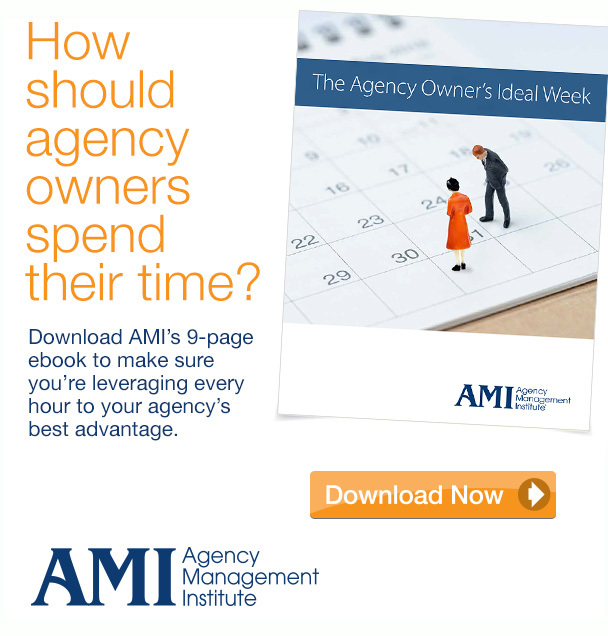 Invest in your agency’s most expensive assets — you and your team. Can you afford for your knowledge to get stale? On demand webinars on topics that matter to agency owners/leaders. Perfect for lunch and learns and an agency leader’s continuing education. We’re currently offering two on demand web-based courses: Agency New Business Blueprint and the Account Executive Bootcamp. We get incredible accolades for our live two-day workshops for agency owners, leaders and account executives. Come learn with us! With a new episode every week – our podcast Build A Better Agency is designed to bring seasoned experts and fresh insight to agency owners. We write about the trends, best practices, and topics that are gnawing at agency owners. Agency owners work one on one with an AMI coach to crush their goals, build their shop and hit their financial metrics. Some challenges require some face time. We’re happy to come to your agency and settle into your conference room for as long as it takes. Drew is one of the industry’s most sought after speakers. His straight-shooting style is a crowd pleaser and everyone leaves his presentations with a To Do list! Members call it the best decision they’ve made as an agency owner. Learn why. Want to connect with other owners but don’t want to commit to travel? We’ve got you covered. Interested in AMI membership but not in a peer group? We’ve got plenty of benefits and discounts for you too! Want your right hand leader to think/behave more like an owner? Let them learn from their peers and our agency owner facilitators! Cost Agency Owners Money” and start keeping the money you work so hard to earn!